As a marketing technologist, one of the main functions is to continually test and optimize our marketing channels. Once of the biggest is our digital presence, such as a website or set of lead generating landing pages. One of our favorite mar-tech tools is Optimizely because if its easy to use features and no-nonsense reporting. Otimizely is headquartered in San Francisco, CA with offices in Amsterdam, Cologne, and London. The company was founded by two former Google employees Pete Koomen and Dan Siroker in 2010. Dan Siroker worked as a product manager for Google’s Chrome. He also served as the company’s Director of Analytics during Obama’s presidential campaign. Pete Koomen served as Google’s product manager for their app engine. The company completed the Y Combinator program in 2010, raising $1.2 million from angel investors during the time. Later the company announced raising funding from InterWest Partners, Battery Ventures, and Google Ventures. In 2013, the company commenced its international expansion plan with the launch of their platform in Dutch, French, Danish, Italian, German, Japanese, Spanish, Swedish, and Portuguese. In 2016, the company announced their Optimizely X which offers expanded solutions or tools for personalization, mobile, over the top content, full stack, OTT, and web experimentation. 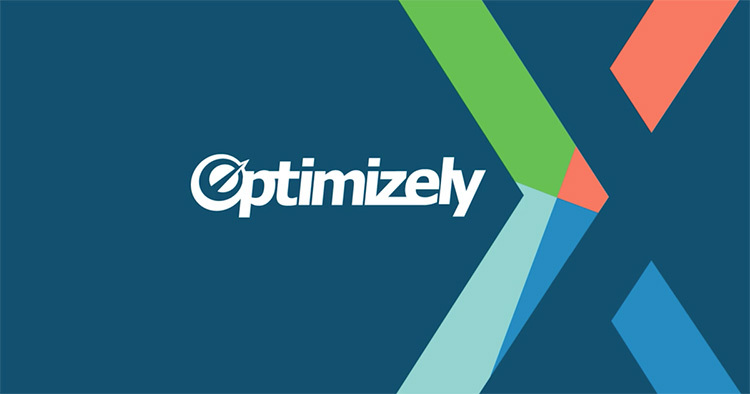 Optimizely delivers customer experience optimization applications for businesses using the software as a service model. The platform offers A/B testing tools allowing companies to compare two different versions of a web page to determine which one performs better. The company also offers personalization tools allowing companies to make decisions based on the data collected. The personal data collected can be used for everything from online advertising to implementing better marketing strategies. The service is delivered via the SaaS model (Software as a Service). Optimizely shines in the way it allows businesses to create multiple instances of their landing pages. It also helps track visitors’ response helping the business determine what visitors are interested in when on the website. Businesses can run A/B, multivariate and multi-page tests. Tracking metrics like click through rates for multiple instances of a website is also very easy. Plus, the conversion tracking tool helps businesses identify how visitors are reacting to the various calls to action and consequently making a purchase. The service enables marketers to quickly test various changes made to their website design and layout. It helps business owners identify which pages are doing better. It is an excellent tool for validating new design changes before code solidifies the changes. The A/B testing tool is not limited to web pages; it can also be used for testing mobile apps. Every change can be made in real time regardless of if you are testing iOS or Android apps. The split testing tool helps marketing technologists run various randomized and controlled experiments with the objective of improving your website’s metrics like form completions, clicks, and purchases. It works by distributing the incoming web traffic to the original control as well as to various customized versions. Visitors to the website have no idea that they are part of a controlled experiment. The data gathered can then be used to make tailored improvements to the design and layout of the website or a web page. The multivariate testing tool helps when multiple elements are changed on the same page for one conversion goal. If used correctly a marketing technologist can bypass the utilization of the A/B test. However, by helping you determine the perfect combo of changes, it eliminates the need for guesswork when businesses want to improve user experience. Optimizely runs both visual and text tests at the same time. It also helps to test the text as well as the color of things like the CTA button or the required number of form fields in addition to other elements. Most small businesses don’t have a full-time development team on their side which is why the visual editor tool is so helpful. Using the visual editor webmasters can bypass the need for coding and adjust their website or page visually by just clicking on various elements of the page. Business owners can have different versions of their website based on geography, cookies, and other criteria. Optimizely isn’t an SEO tool per say, but a well-optimized website will always do well in SERPs. By perfecting your website, you are inevitably improving SEO ratings because visitors have a better experience. However, it will not help you build a network of backlinks or identify websites within your niche. Though it does help with all the basic on-page optimization needed for search engines to take your website seriously. This entry was posted in Marketing Tools, Resources. Bookmark the permalink.